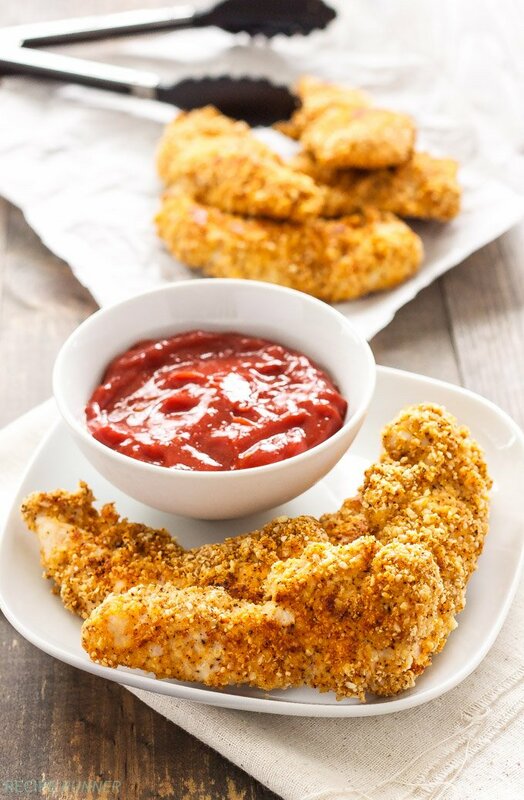 Healthy, gluten free chicken tenders with a crispy almond meal crust are an easy to make and healthy dinner. Serve them with sweet, smoky, spicy chipotle ketchup for the perfect dipping sauce! 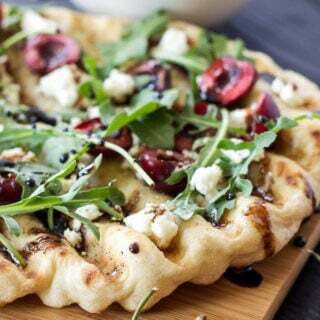 I had every intention of sharing a pizza recipe with you today for pizza Friday, but then it decided to be cold, cloudy, and rainy again all week and I was not in the mood to go grill out in the rain. So I apologize, but this is 100% mother nature’s fault. If someone could please tell her to knock it off and bring back the sun and 80 degree temperatures I would greatly appreciate it. Since grilling was once again out of the question I resorted to turning on my oven. 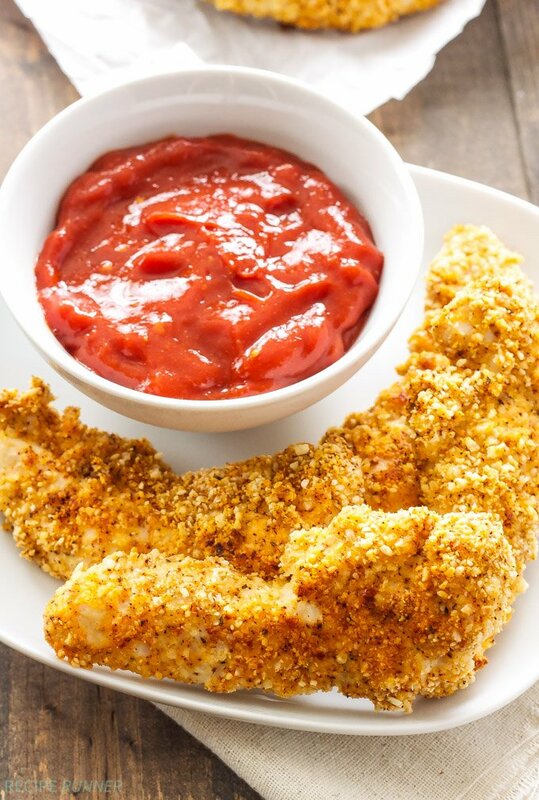 Instead of pizza I made you these Almond Crusted Chicken Tenders with Chipotle Ketchup. I have to say they are pretty darn tasty. 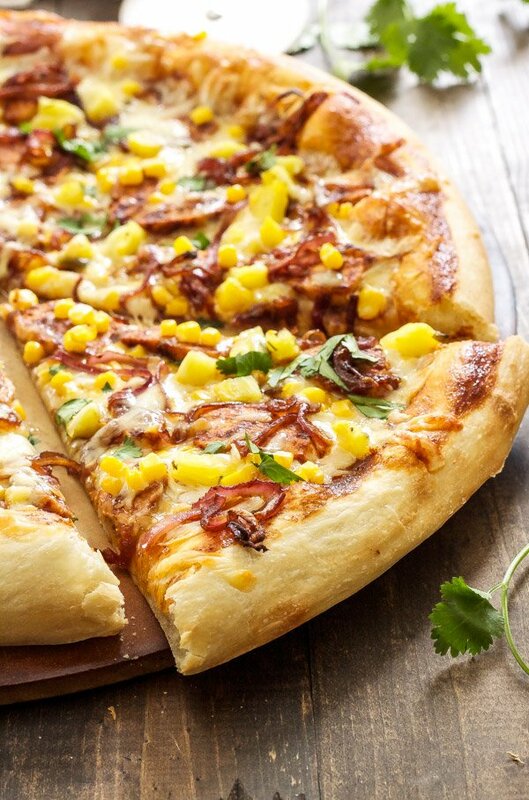 Of course they’re no pizza, but I’ll gladly substitute them and you should too. Chicken tenders seem to be a meal everyone loves, well unless you are vegetarian of course. They are simple, have a great breaded crust on them, and taste so good dipped in ketchup, ranch, honey mustard, just about anything really. When it comes to ordering an appetizer at a sports bar I always gravitate towards the chicken tenders. I can pass on garlic knots, mozzarella sticks, and jalepeño poppers, but put a plate of crispy chicken in front of me with some ketchup…game over! Of course if I ate fried chicken tenders every week I’d have to go shopping for a whole new wardrobe and not because I was trying to keep up with the changing fashion trends. To satisfy my craving for crispy chicken tenders in a much healthier as well as low carb way I decided to make a baked version with almond meal at home. If you’ve never tried using almond meal as your “breading” it’s definitely worth trying. Not only do you get the crisp texture, but a slightly nutty flavor as well. I seasoned my almond meal with chili powder, garlic, and smoked paprika which tasted amazing with the chipotle ketchup I whipped up to dip these tasty tenders in. The chipotle ketchup has a little heat, a little sweet, and that unmistakable smoky flavor thanks to the chipotle chile pepper. 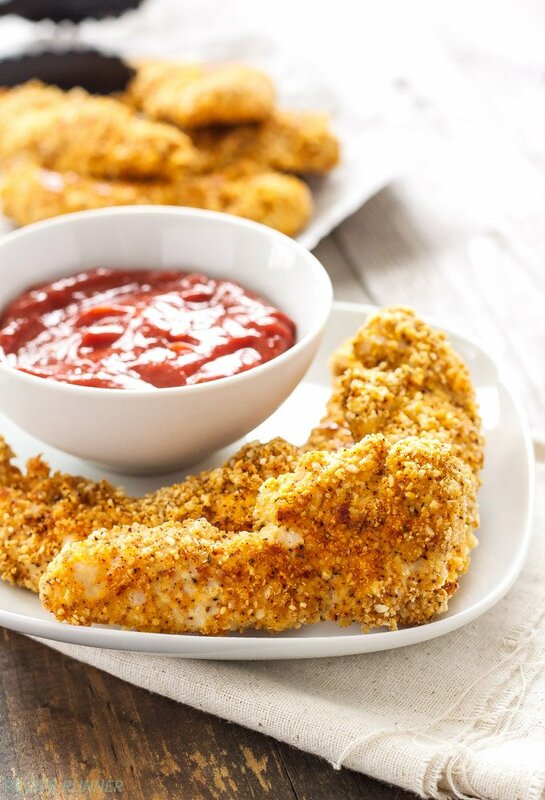 The next time you get a hankering for some crispy chicken midweek, skip the greasy ones from the sports bar and the flavorless frozen ones from the box, and make these healthier and much better tasting almond crusted chicken tenders! 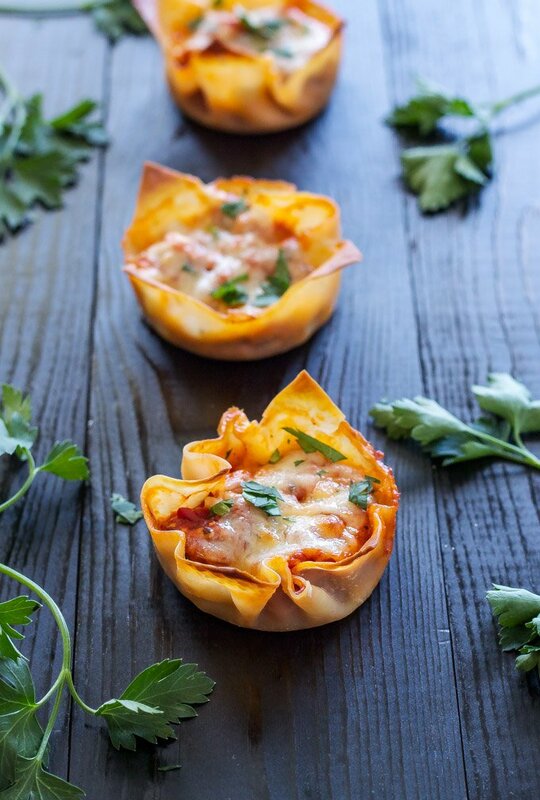 Preheat oven to 425 degrees, line a baking sheet with foil and spray it with cooking spray. In a shallow dish combine the almond meal, chili powder, salt, garlic powder, smoked paprika, and black pepper. In a separate shallow dish whisk together the egg and egg white. Dip each chicken tender in the egg wash until it is completely coated then place it in the almond meal mixture coating it completely. 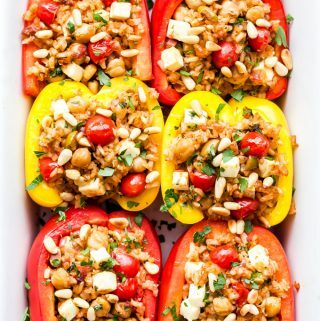 Shake off any excess almond meal, then place it on the prepared baking sheet. Repeat the process until all of the chicken tenders are coated. Bake the chicken tenders for 14-16 minutes, flipping them over onto the other side halfway through the cooking time. While the chicken is baking add the ketchup and tablespoon of chipotle chiles to a blender or food processor and puree until smooth. 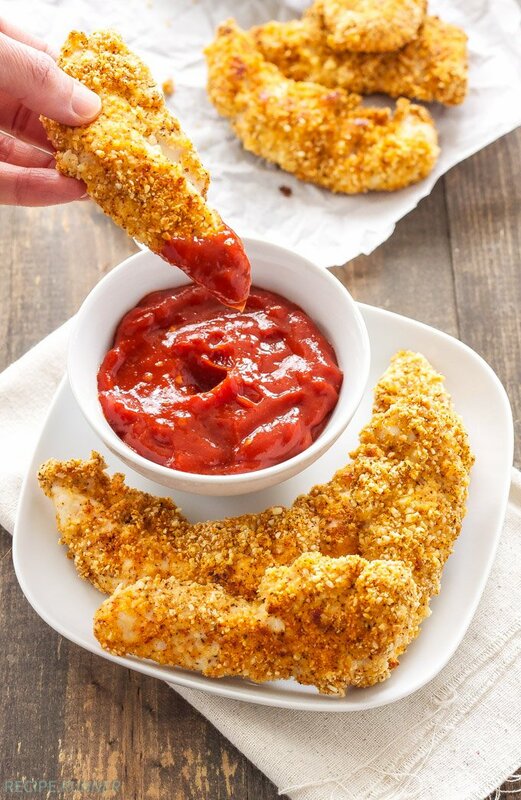 Serve the baked chicken tenders immediately with the chipotle ketchup. If you don't have a blender or food processor, finely mince the chipotle chiles then whisk them into the ketchup. The coating on this looks amazing -- crunchy and crispy! I love chipotle in anything and I know that this will be a favorite here. Pinned! Thanks Marye and thanks for the pin! The coating on those sounds amazing Danae and love that you served them with a chipotle ketchup.. totally up my alley I love chipotle anything! Thanks Krista! Me too on the chipotle! Almond meal is one of the most versatile ingredients! 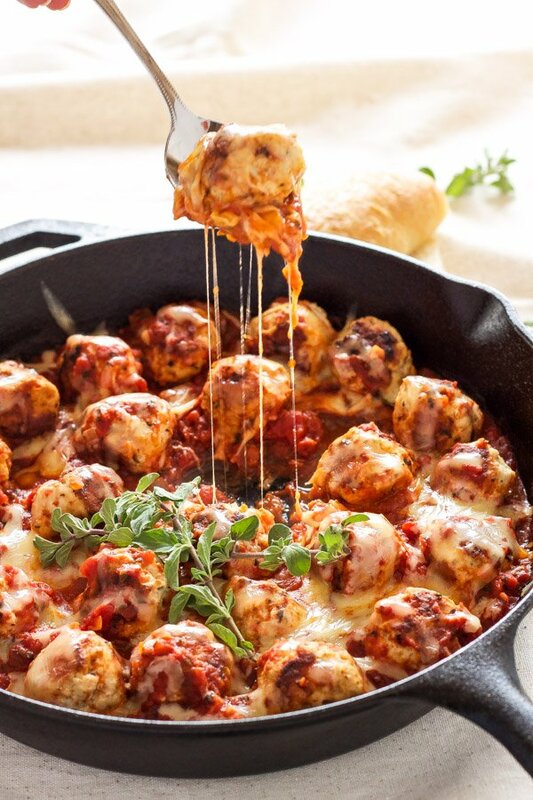 I love that you breaded chicken with it because these look amazing. Thanks Ashley! I love using almond meal in all kinds of recipes! These were good thanks! But they only took 12-14 minutes for me and I think I cut the chicken into decently large tenders. At least as large as the ones I've bought before. Thanks for trying the chicken tenders Becky! I'm glad to hear you liked them! This was a hit with all my kids (and me) which is quite an accomplishment! 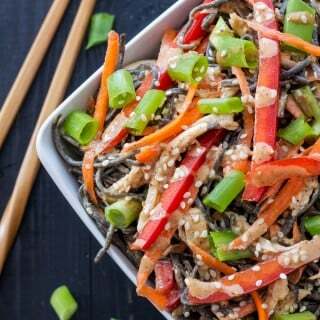 It was super tasty without being overly spicy and fit our dietary needs perfectly. Thanks so much.